Funeral services for Mrs. Kathleen Morse Davis will be 1:00 P.M. Saturday, May 26, 2018, at Ligon & Bobo Funeral Home with Bro. Charles McKnight officiating. Interment will follow at Cedar Grove Cemetery. Visitation Friday 11:00 A.M. to 8:00 P.M., and Saturday 10:00 A.M. to 1:00 P.M. at Ligon & Bobo. 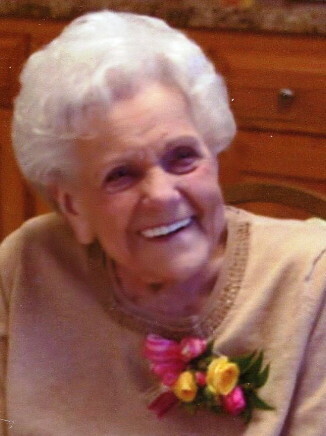 Mrs. Davis, age 90 of Lebanon, passed away Wednesday, May 23, 2018, at Alive Hospice of Skyline Madison. Born September 30, 1927, in Davidson County, she is the daughter of the late Thomas David and Lena Violet Parrish Morse. She retired from Robertshaw Lux Clock, and was a member of Barton’s Creek Baptist Church. In addition to her parents, she was preceded in death by her husband, James Howard Davis; son, Jimmy Davis; daughter, Judy (Vernon) Ferrell; and brother, Tommy Morse. She is survived by two daughters, Betty (Don) McDonald, and Patsy Poole; eight grandchildren, Danny (Karen) McDonald; Sherry (Wally) Sellars; Amanda (Chip) Wilson; Avonda (Chris) Williams; Randy (Joann) Leeman; Mike Davis; Ken (Melanie) Davis; Cathy (Ron) Frederick; three brothers, Bobby Joe Morse; Jerry Wayne (Sally) Morse; and Raymond Morse; 17 great-grandchildren; and 4 great-great grandchildren; and daughter-in-law, Dorothy Davis. Active pallbearers: Danny McDonald; Mike Davis; Ken Davis; Wally Sellars; Chip Wilson; and Chris Williams. Betty, I am so sorry to read about your mother, she was a sweet lady. My prayers are with you and Pasty.